Haha, funny no? This is for my pal Max of GameFace Max for his 25th Birthday! Happy Birthday bud! Let's keep on keepin' on and Let's Playin' for years to come! 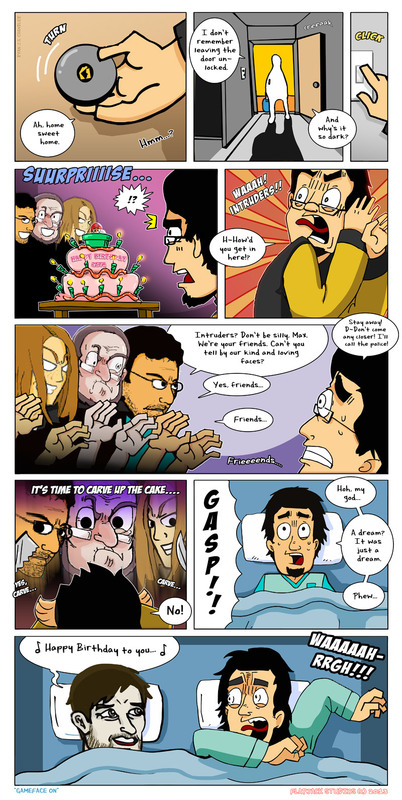 If you happen to like this comic, know Max or are a fan of birthdays then why not share it, facebook it, or tweet it for me? Blog it even! And remember to stay tuned for more Flipside U comics!